Joining us in the studio for this Indie Rock Hit Parade Live Session is the New York-based band Cults. Formed in 2010 by singer Madeline Follin and keyboardist/producer Brian Oblivion, Cults are no strangers to our building; they’ve visited for assorted sessions and Free at Noon concerts over the years. This time around, they bring material from their newly released third album, Offering. Recorded after the band took an extended break, the record explores influences that weren’t so apparent on the group’s earlier recordings. Heavy electronic rhythms and spacey textures are coupled with the core duo’s signature pop songwriting to create a sound that’s both fresh and familiar. Follin and Oblivion are joined by longtime touring members in this session: guitarist Gabriel Rodriguez, drummer Cory Stier and bassist Max Kamins. Need to Feel Your Soft Sounds in the Storm: New Sheer Mag, Japanese Breakfast and Waxahatchee on the Indie Rock Hit Parade! Indie-pop duo Cults will take to the TLA stage tonight. The New York natives released their sophomore album Static in October on Columbia Records and it has impressed fans and critics. Bullet Magazine recently included “So Far” from the new record on their “Indisputable, Definitive Best 53 Songs of 2013” list. Get tickets to the show here and watch them perform “Always Forever” from their WFUV Session below. You can listen to the new Cults album in its entirety here. You can sample a new song, “High Road,” below. The band performs at the TLA on Wednesday, October 23rd. Go here for tickets and more information. Listen to the new Cults album, Static, in its entirety here. Cults have shared a new song, “High Road,” that you can listen to below. The band returns with a new album, Static on October 15th. Cults play the TLA on Wednesday, October 23rd. Go here for more information on the show. 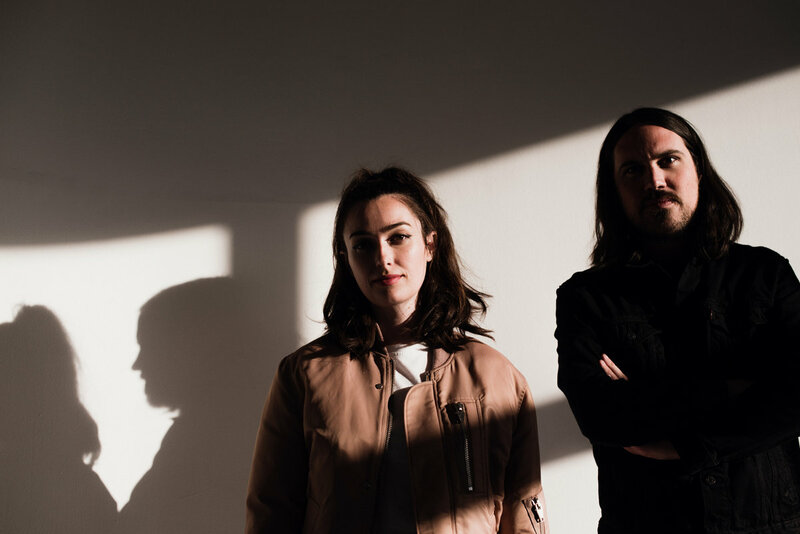 Dreamy pop outfit Cults this morning announced a fall tour that brings them to the Theater of Living Arts on South Street on October 23rd; tickets are available now at the venue’s website. The band’s sophomore album, Static, is due out on October 15th; listen to the lead single “I Can Hardly Make You Mine” below. XPN Welcomes emerging indie three-piece Guards to Kung Fu Necktie tonight. The New York project is spearheaded by Richie James Follin, frontman for Willowz and a former live guitarist for Cults (which his sister Madeline sings for). The group’s doom-meets-power pop vibe makes their seven-track EP an unexpected dance party staple, which you can pick for free below. Tickets to tonight’s 21+ show are available on our concert calendar here; the performance starts at 7:30.